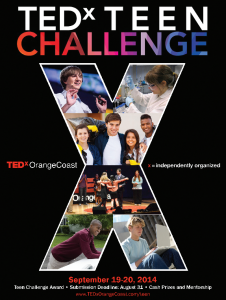 Teens: Apply now for the Tedx Orange Coast Teen Challenge 2014! Parents Advocate League is excited to share a fantastic opportunity for innovative, socially conscious teens in Southern California! 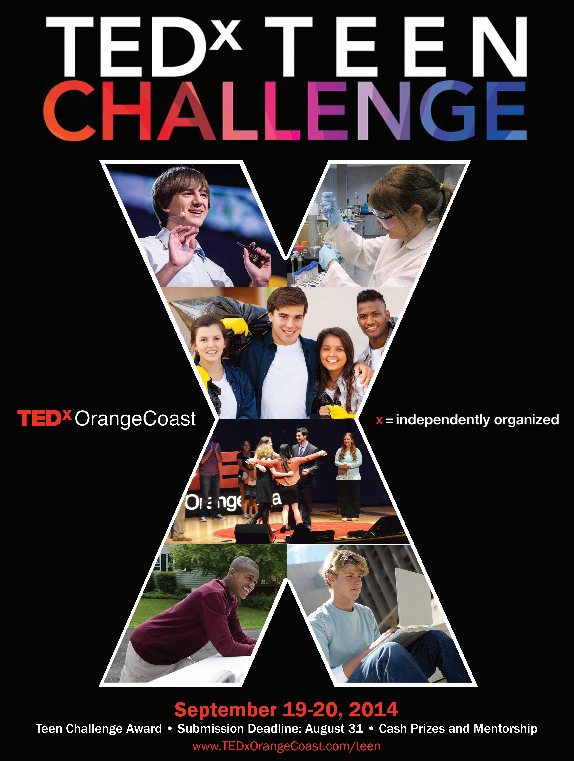 TEDxOrangeCoast is currently accepting applications for it’s annual Teen Challenge Contest. The Teen Challenge seeks innovative, collaborative and/or socially impactful ideas worth doing from passionate individuals in our communities. Teens may apply now by completing the online application found here, describing their concept and a brief action plan of proposed next steps. Prizes include mentorship, TED exposure, start-up seed money, and a cash award! The deadline to apply August 31st, so if you have a great idea, apply now!